Like a gust of wind, newly-opened Hakkoku breathes a fresh perspective to the sushi mecca of Ginza. Here, the customer takes center stage. Ordering is Okonomi (à la carte) rather than Omakase (the chef’s choice), a philosophy that lets the guest indulge in their desires. The restaurant has found its home in the heart of Tokyo, joining celebrated restaurants of all cuisines. You take an elevator to the third floor to enter Hakkoku’s elegant reception area, where the friendly staff awaits. The spacious restaurant stretches over three small rooms, each set up with its own counter and six chairs. 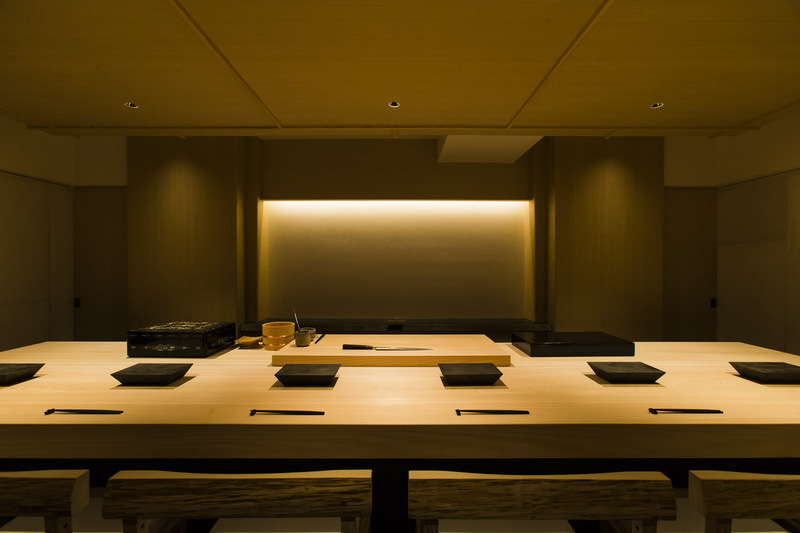 The hinoki wooden counter is set low and flat with nothing to divide Chef Hiroyuki Sato and his guests. There are no secrets to hide as he performs his mastery from start to finish. It’s Sato’s firm belief that six is the maximum number of guests he can properly serve at one time. As you sit down, he gently hands over a piece of paper where he’s written down all the fish he has selected for your liking. On some days, the list is as long as 30 different varieties. The level of personal attention and the variety of choices add to the truly indulgent experience. The rice is at the heart of Sato’s sushi. His rice uses a blend of two different red vinegars, giving each grain that beautiful ruby shine and deeply aromatic flavor. When Sato looks for which fish to buy, he thinks of the rice first, and how each flavor would work with the rice. While guests are free to ask for whatever they want, Hakkoku’s focus is mainly on sushi rather than tsumami. 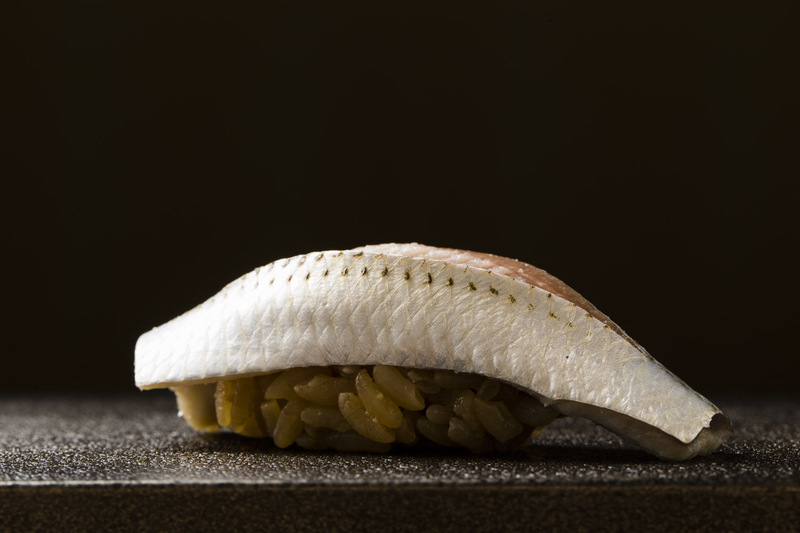 Every piece of fish is sliced generously and lightly slit down the middle so it gently folds over the rice like a blanket. “Not only does it look beautiful, it tastes beautiful too,” Sato explains. Sato has brought over his signature dish “Tossaki” from his days at Tokami. 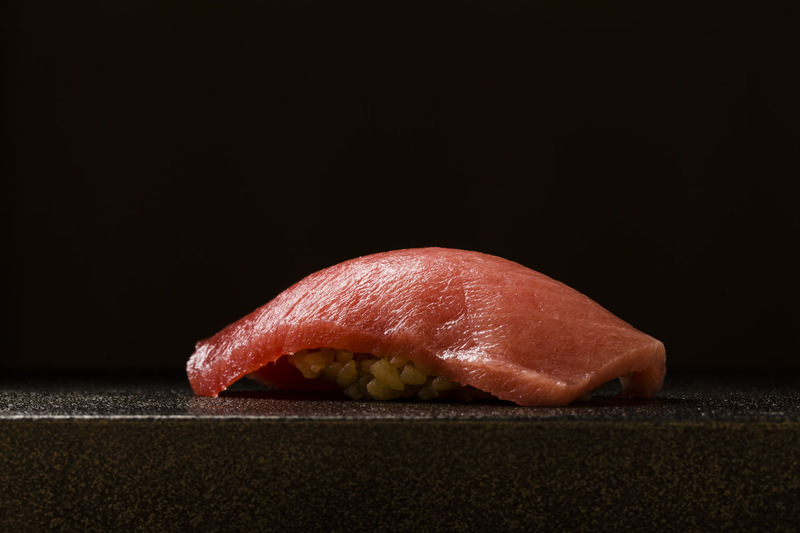 Tossaki refers to the small layer of meat around the neck of a tuna, a rare delicacy that is treasured for its rich flavor. Right in front of your eyes, he wraps the tuna in the shiny red rice and a crisp piece of seaweed and hands it directly to you. It’s an unforgettable bite. The course builds into a crescendo from lighter flavors such as gizzard shad. This has a beautiful shine with a delicate and fresh after taste. 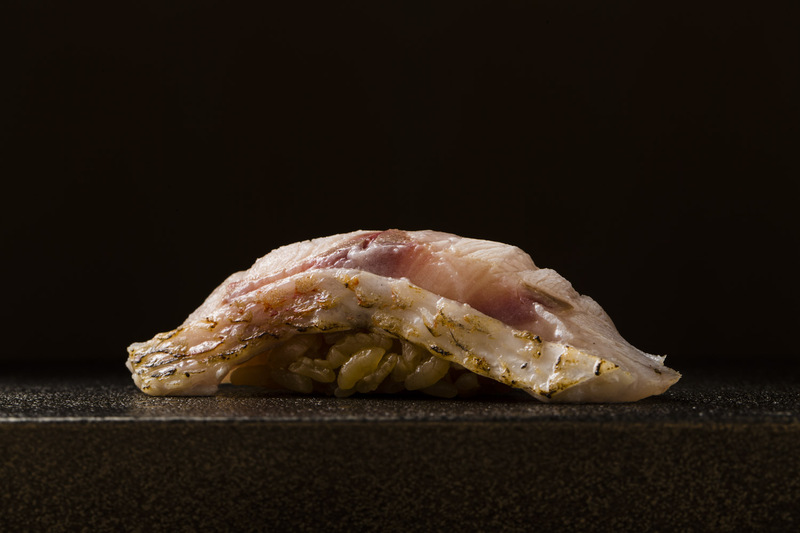 The piece of snapper involves different textures with the skin quickly poached before the fish meat is vinegared. 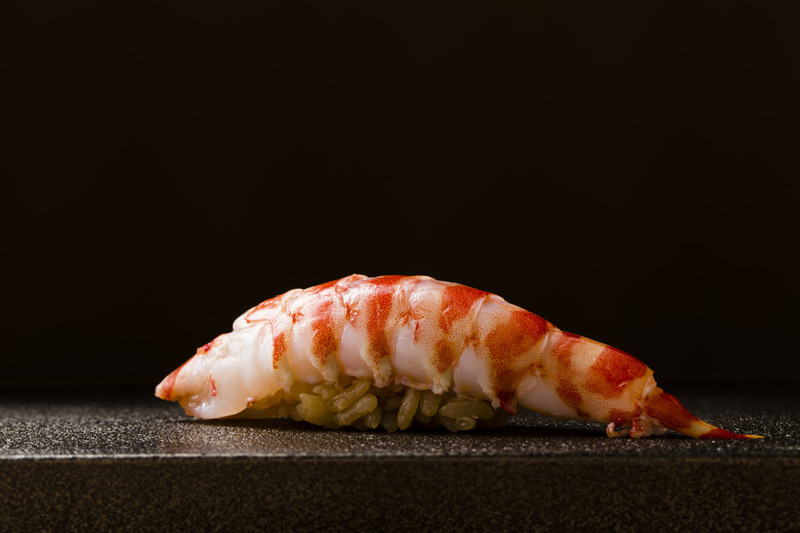 Kuruma shrimp is lightly boiled, bringing out the brightest colors in the stripes, while remaining sweet and raw on the inside. 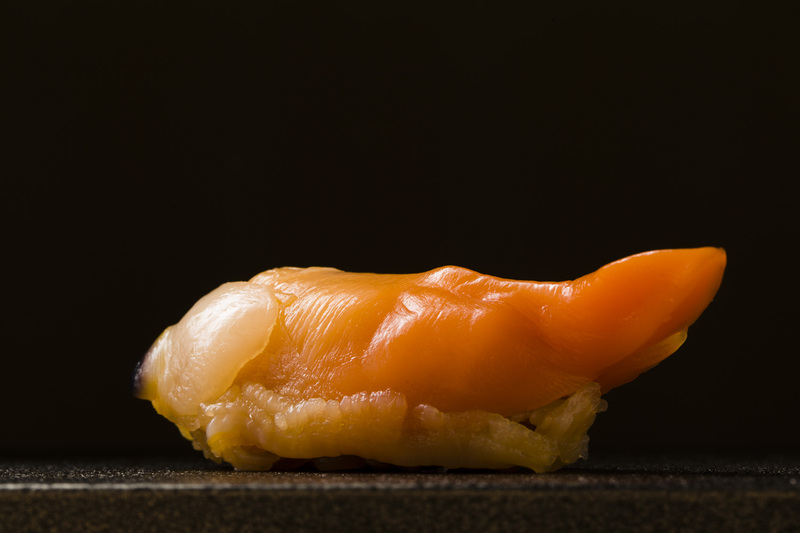 The surf clam is juicy and plump, with umami bursting out of its tender meat with every bite. 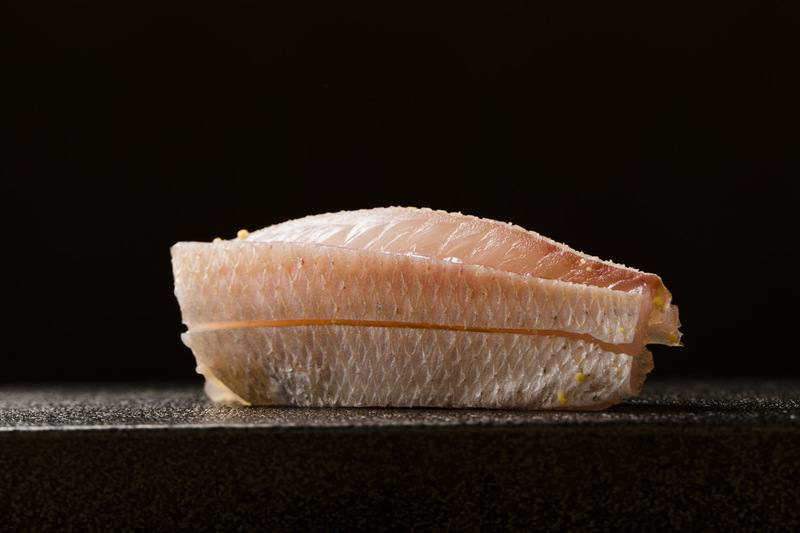 The nodoguro sea perch combines freshness and smokiness with its skin lightly broiled. 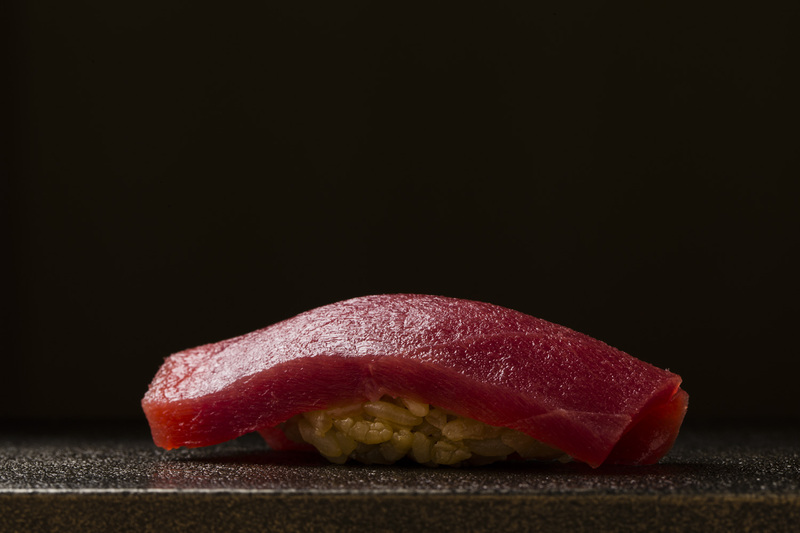 A trio of fatty tuna displays a gorgeous cascade of warm colors: the light akami, richer chutoro and fattiest otoro. Each is unique in flavor and texture. The egg, a dish that is so simple yet difficult to perfect, is slow-cooked over crackling charcoal. 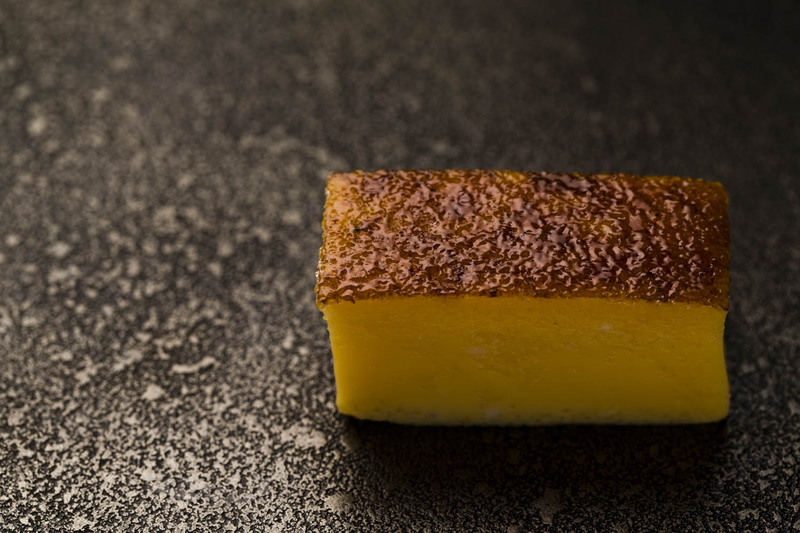 The top is perfectly browned like creme brulee, leaving the inside sweet and smooth to the tongue. Sato never misses his daily visit to the Tsukiji market to make sure he gets his hands on the best and the freshest fish. He makes sure he knows where every fish was caught so he can share this tidbit with guests as they browse the handwritten menu. 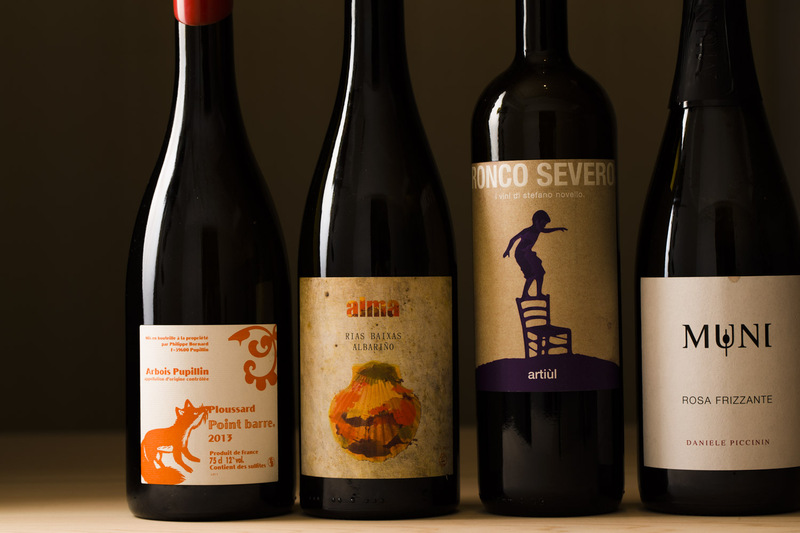 The variety and quality of his selections are simply incredible. Born into a family who ran a sushi restaurant, Sato grew up helping his father in the kitchen peeling shrimp and cutting seaweed. Despite this upbringing, he gradually moved away from the family business, spending most of his high school days jamming in a rock band. When he was 19, he began working for a western restaurant chain, piquing his interest in the dining industry. Upon his return from the U.S., he immediately began his apprenticeship with Akizuki, a restaurant owned by a chef who trained at the famous Kyubey. Next, he worked at Ozaki Yukitaka, the Azabu Juban restaurant dedicated to premium wagyu beef and fresh hon maguro tuna. It was here that he spent endless days pursuing the ultimate sushi rice recipe. 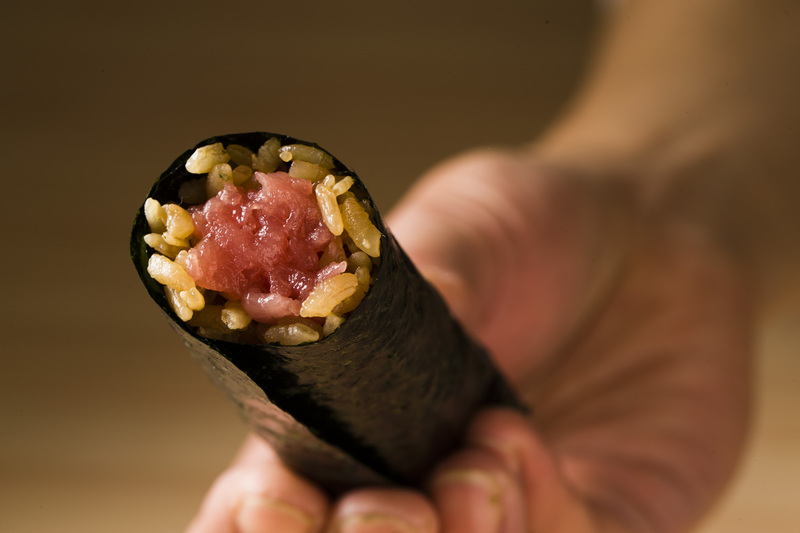 In March 2013, he opened Sushi Tokami in Ginza, earning a Michelin star. When the restaurant changed hands in 2017, it freed up Sato to embark on his next endeavor: Hakkoku. 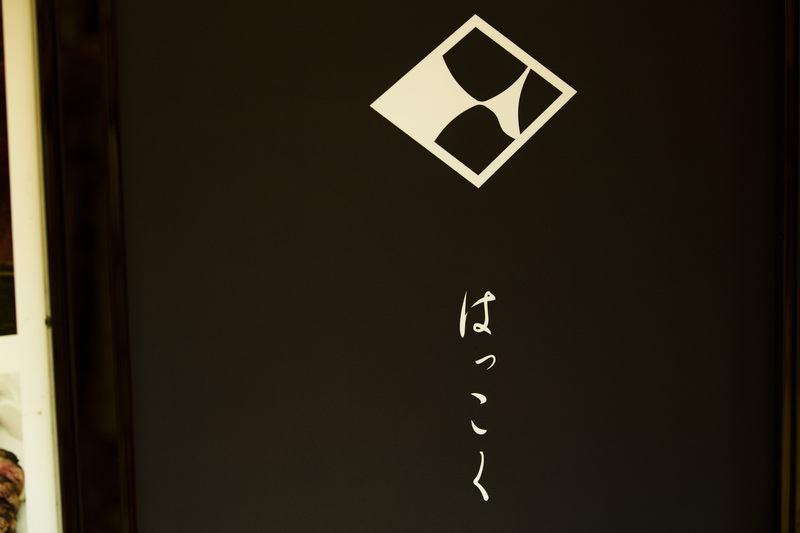 The name Hakkoku is a play on words for Black and White, a reminder of how all contrasting forces exist to complement one another. Whether it be sushi and rice or customer and chef, the opposite relationships create harmony, balance and unity, or so Sato believes. In the ten months leading up to the opening of Hakkoku, Sato travelled across the world, visiting Hong Kong, Taiwan, Thailand, Spain, France and the United States. The trip reminded him yet again of the value of Japanese culture, and the importance of passing the tradition to people all over the world. He also has a big passion to nurture the next generation of sushi masters. The restaurant was designed with three counters specifically to offer a chance for his apprentices to stand in front of customers and learn through their own experiences. The rooms are also designed to be opened up into one big space to host collaboration projects with other chefs from different genres and backgrounds. Sato is excited for what the future might bring. Hakkoku’s newest pursuit is in vin naturel. The pure and poignant flavors of the grape pair beautifully with the red vinegar in the rice. Just like the food, it’s the guest who chooses their drink at Hakkoku. 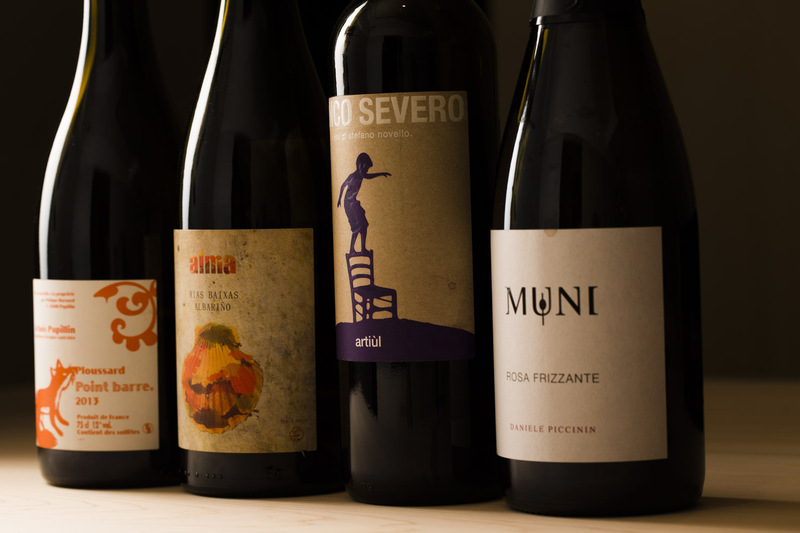 True to that philosophy, the restaurant offers a wide yet select collection of sake, classic wine and other drinks. The recommended sakes include some established brands like Dassai and Juyondai.